Strengthen your English with targeted training. Lingoset automatically adjusts to your level and specific needs. 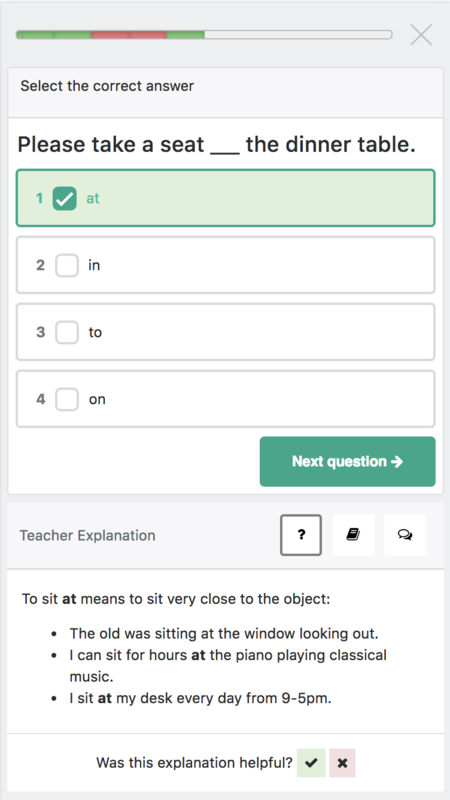 Lingoset provides exercises and explanations that are optimised for Portuguese native speakers. Receive specific explanations and tips exactly when you need them. 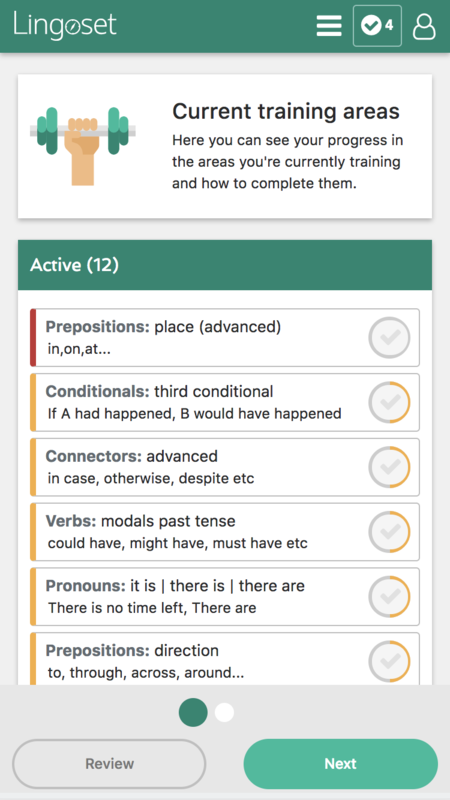 Complete language areas and measure your progress. Access a language catalogue with depth and quality. Boost your learning with technology. Variety of exercise formats that help you to learn by doing. 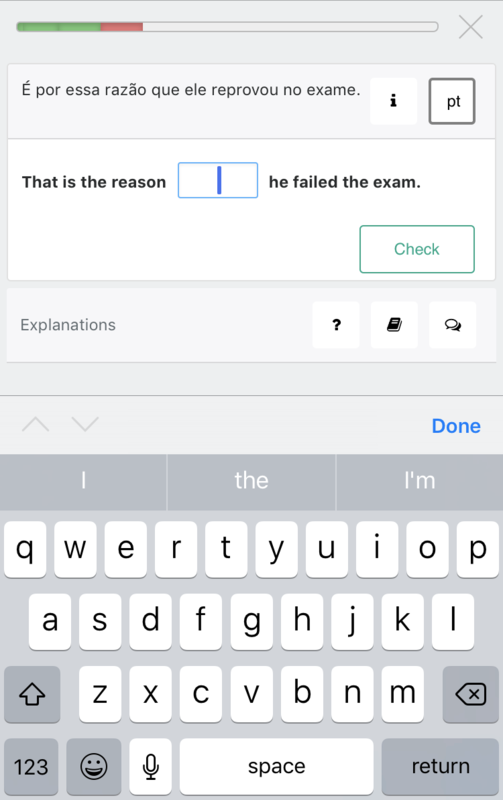 Conveniently review teacher explanations below questions. Visualise your language strengths and weakneeses by area. 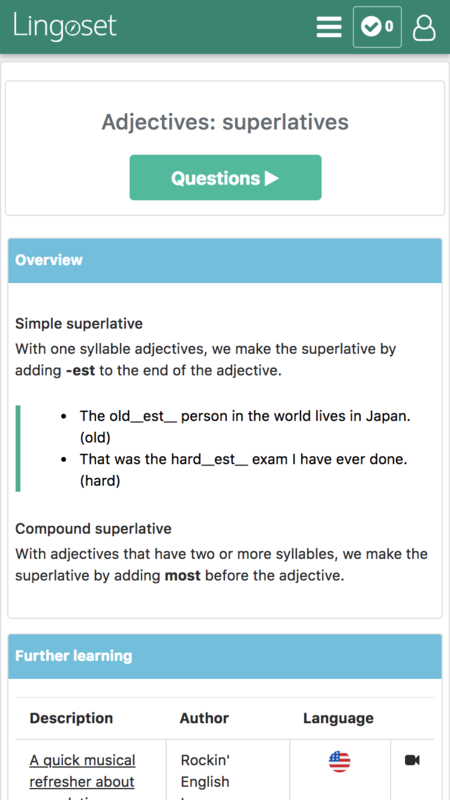 Compact summaries with explanations, links and specific grammar questions. Lingoset's targeted approach is ideal for learners who want to efficiently take their advanced English to the next level.